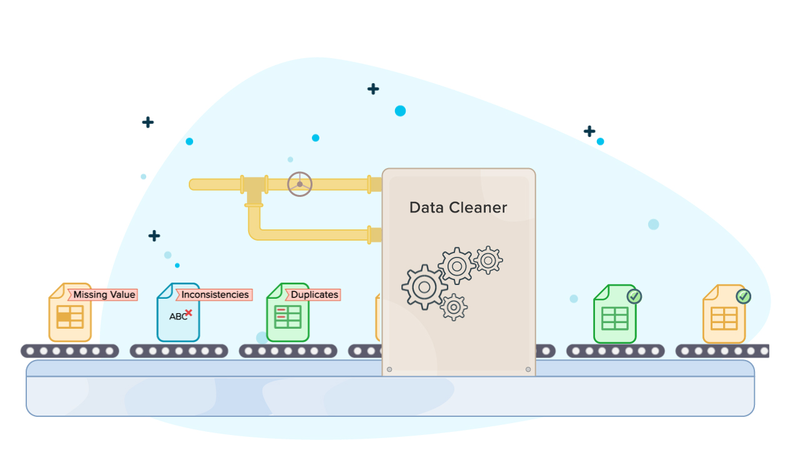 Save yourself the trouble of manually identifying and correcting data errors and mismatches in your spreadsheets with the data cleaning tool from Zoho Sheet. Scrolling endlessly to find duplicate entries in your spreadsheet? Choose to highlight or delete duplicates from your data, all in a few simple steps. Fill missing values in your file with the value above, the most frequent value, or a custom one, all in a single click. Clean up your Excel files and improve quality of data from other external sources, in a jiffy, using the data cleaning tool from Zoho Sheet. Say goodbye to manual data cleaning.